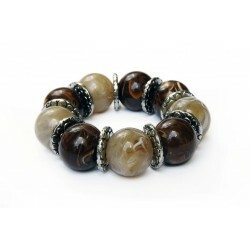 Elastic bracelet, with beige tone beads. 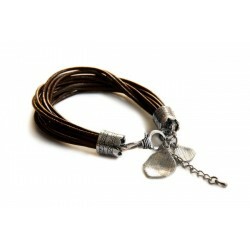 Brown leather bracelet, antique rhodium. 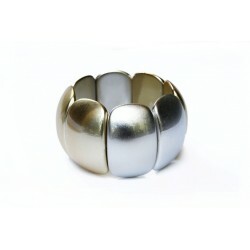 Bracelet acrylic on elastic, matt silver/matt gold. 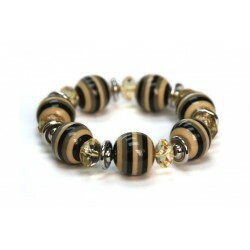 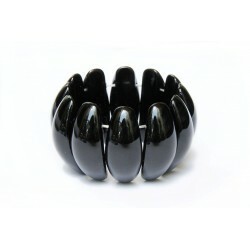 Elastic bracelet brown tone, acrylic beads.